Fiesta Night is the Rotaract Club of Evansville's signature fundraising event. 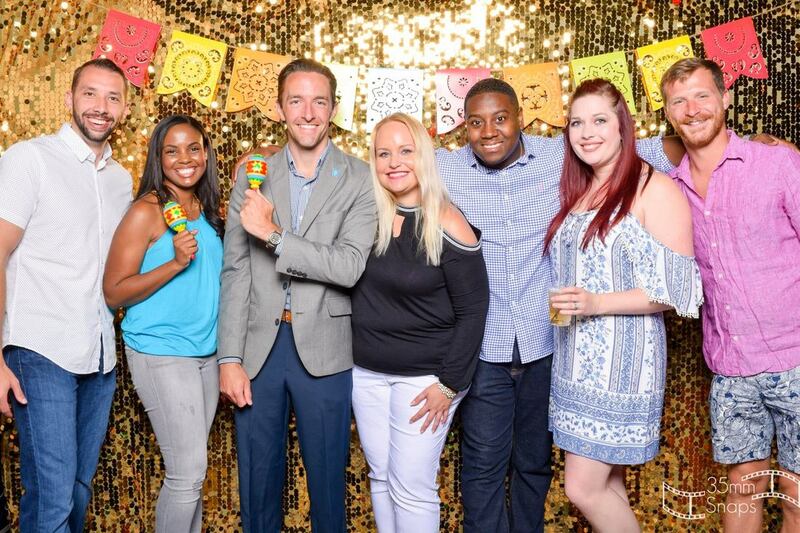 Enjoy an amazing night filled with dinner, cocktails, dancing, silent auction, photo booth, and your chance to hang out with the cool kids of Rotaract. Open to anyone over 21. A variety of sponsorship opportunities are available, ranging from publicity to individual and corporate table sponsorship. Don't forget to stop by the ever entertaining Fiesta Night Photo Booth! Pictures and shenanigans are well documented for future fun. Thanks to our Matador sponsors! Thanks to our Mariachi sponsors! Thanks to our Sombrero sponsors!